Support for the county by players, captains and organisers is very much appreciated, but please bear in mind that funding of county teams comes from league team entry fees and the county’s share of club affiliation fees. There is no bottomless pit of cash so costs must be kept to a minimum. 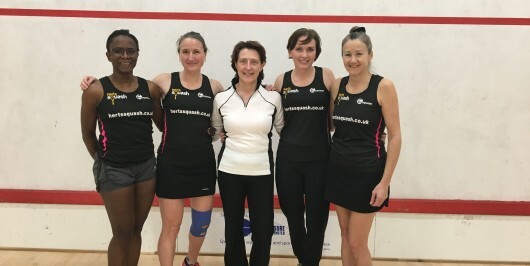 SRA inter-county regulations require all players to be individual or family SRA members before playing, or that non-members pay their subscriptions to the host county organiser during the weekend. It is the responsibility of the captain or manager to ensure that this rule is complied with as failure to do so will result in a deduction from expenses reimbursed at the relevant rate, currently £29 for adults. (The same amount is deducted by the SRA from the county’s share of club affiliation fees if non-members play for a county team). A report of the weekend and a copy of the results (including SRA membership details) together with receipts for expenses must be sent to the Treasurer before payment will be made. If these guidelines are unclear, please contact the Treasurer before spending money. Courts Rates to be negotiated with hosting club and agreed with the Treasurer (currently Paul Drakes 07796 997361) at least two weeks before the fixture, unless the national SRA gives less notice that we are hosting. Free courts are obviously preferred. Food One meal to be provided for players (max. 6 per team), managers (juniors only), and officials where applicable. Cost to be agreed with Treasurer at least two weeks before fixture. A ticket system to the value of the cheapest hot meal available has worked well at junior weekends. Officials Arrange through the Referees’ Co-ordinator. Travel Based on two cars per team at 23p per mile on a reasonably direct route given by a planner such as Google maps. Accommodation Generally paid for a maximum of six players sharing. Contribution from county funds will not normally be more than £33 per person per night. Additional costs of single rooms and of partners will be at individual players’ expense. Only one night will be funded unless it would be necessary to set out well before 8am in order to arrive at a reasonable time. Overnight stays will not be funded unless the fastest journey time according to the route planner is significantly more than 90 minutes. A contribution of £5.50 per person towards the cost of food may be made. Other If the support is not agreed with the treasurer before travelling, these principles will be applied retrospectively in the absence of good reasons to the contrary. Division between team members and drivers will be entirely at the discretion of the captain or manager.